Thopaz+ allows healthcare professionals to make informed decisions based on precise drainage data. Improved inter-observer agreement due to precise air leak monitoring. NICE (an executive non-departmental public body of the Department of Health in the UK) recommends Thopaz+ for managing chest drains. Thopaz+ reduces chest tube duration and length of stay (in hospital). Improves safety for people with chest drains. Improves clinical decision-making through continuous objective monitoring of air leaks and fluid loss. Healthcare providing staff finds Thopaz+ more convenient and easier to use than conventional chest drains. "The use of Thopaz+ can take the surgeon beyond the 24 hour limit for drain removal, using criteria in minutes rather than days. It also facilitates safe day-case thoracic surgery and is an essential component of a modern thoracic surgery programme"
"Thopaz+ allows complete patient mobility and independence while the chest drain is still in situ, thereby realizing the full potential of the minimally invasive surgery we are performing"
"Our experience with Thopaz+ has completely changed our patient's monitoring, allowing us to know their status hour by hour as if we were at their side 24 hours a day. With this, we have achieved a shorter hospital stay with the maximum level of assurance at discharge "
"The use of Thopaz+ in the postoperative period of our patients healing journey, has meant a more correct digital control of blood loss and, of course, the presence and intensity of air leaks. Early ambulation has been facilitated both in the hospital and at home and has had a positive effect on a decrease in days with pleural drainage and, therefore, hospital stay." Dr. Andrés Varela de UgarteHead of the Thoracic Surgery and Pulmonary Transplant Service. University Hospital Puerta de Hierro Majadahonda, Madrid, Spain. "We quickly embraced the benefits of a technologically advanced device like Thopaz+. 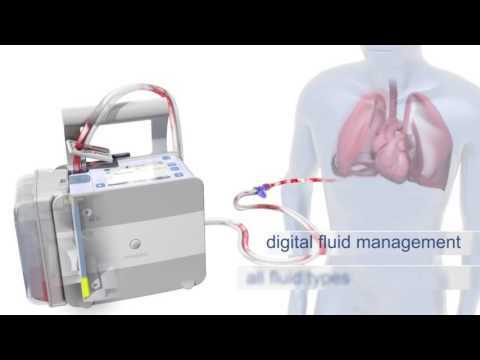 Small, light and efficient, enabling medical and nursing teams to reach confident decisions about chest tube management and chest tube removal"
Thopaz+ allows the optimal pressure to be applied for post-operative chest drainage management, and permits objective and reliable monitoring of patient status. As a result, the length of hospital stay can be shortened by at least 1 day 1, 2, 6, 7 with the corresponding reduction in hospital costs 1–5. Early decision making using objective real-time data. Greater convenience due to automated management of prescribed therapy while digitally tracking fluid output rates and air leak trends over time. Compact, hygienic and easy-to-clean system offering intuitive operation and handling. Lightweight design and rechargeable batteries enhance patient satisfaction allowing full mobility. Medela's Thopaz+ takes chest drainage therapy to a new level of care. This simulator helps you to become familiar with Thopaz+ and its advanced functions. Available in 300ml, 800ml and 2-litre capacities to optimise drainage procedure and reduce the amount of biohazardous waste. All three sizes are available with or without solidifier, providing a hygienic and cost-effective option for disposing of patient fluid disposal. The dual-lumen tubing provides continuous pressure monitoring close to the patient’s chest to provide early warning of potential harmful situations. Two types of connectors are available (single or double) in small, medium or large sizes to match the chest tube being used. All Thopaz+ tubing connectors contain a port for convenient sampling of drainage fluid. The docking station for Thopaz+ generally requires one-time set up, allowing the device to be recharged without the need to handle cables and an external power adapter. To secure the 2l canister in place. For the easy attachment of Thopaz+ to rails, beds or IV poles. Can be fixed vertically or horizontally. For the easy attachment of Thopaz+ to rails, beds or IV poles. Infinitely variable adjustment of rail inclination (360°). Short and simple set up and training videos that will ensure you become a confident and knowledgeable Thopaz+ user. 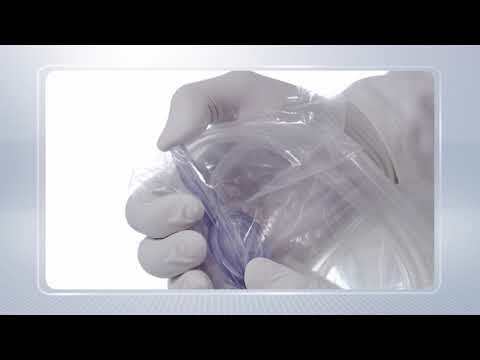 Medela Thopaz+ user specific Training Video for operating room. 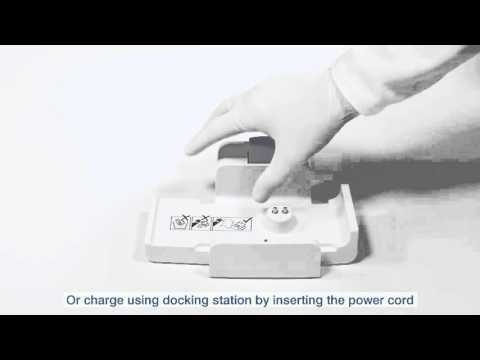 Medela Thopaz+ user specific Training Video for post-anesthesia care unit, intensive care unit and ward.